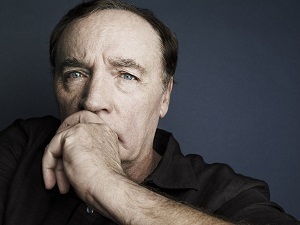 James Patterson is this summer to make his first appearance at the Theakston Old Peculier Crime Writing Festival. Further star guests at the festival (18-21 July) will include Jo Nesbo, MC Beaton, Jeffery Deaver, and Harlan Coben. The programme chair is Mari Hannah. Also on the programme will be an event starring Belinda Bauer, Eva Dolan and Erin Kelly. Val McDermid, who co-founded the festival with literary agent Jane Gregory and arts charity Harrogate International Festivals in 2003, will be in conversation with Scotland's first minister Nicola Sturgeon. Another star will be Jed Mercurio, creator of Bodyguard and Line of Duty. Hannah said: "Announcing James Patterson in my year as festival chair is a huge honour. Harrogate has a reputation for its powerhouse special guests. Every year, the programming committee work hard to attract the very best crime writers to the festival from around the world. The response to 2019's line-up has been incredible. I'm looking forward to welcoming readers in July." The full programme will be announced in April.